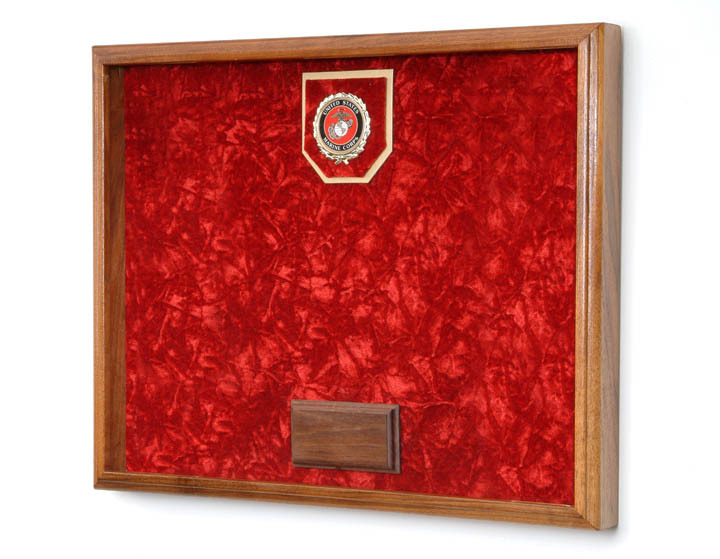 US Marine Corps Shadow Box Display Case Proudly display your military career or that of a loved one with this expertly-crafted Flag and Memorabilia Shadow Box. The Pre-Assembled shadow boxes are professionally constructed by our team of design experts. Each one is carefully built according to award precedence, while maintaining proportion, balance and symmetry. Every award mounted in the shadow box will include an identification plate engraved in-house on high-quality brass.